QUEEN in 1981 that came back to Japan as the No.1 band in the whole country. It is upgraded and the Daimyo board which was stated as the highest masterpiece even in the Japanese performance of a spirit-like sunny weather appeared. That famous board is “KING OF THE IMPOSSIBLE”. 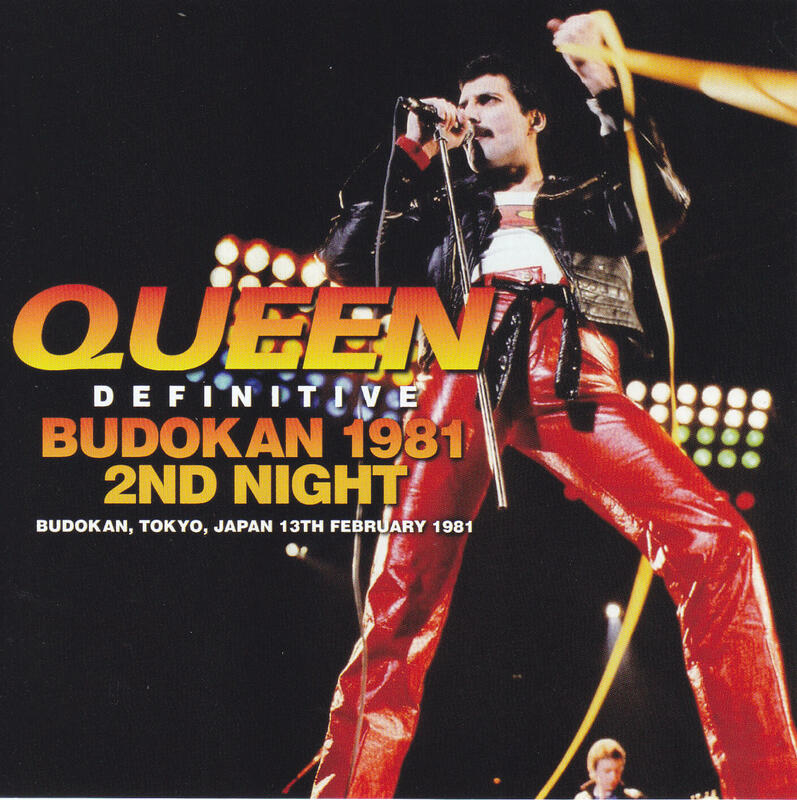 It is a super-superb audience recording that was ravely acclaimed as the longest · best live album of “February 13, 1981: Nippon Budokan” performance. There is no local performance in Japan this year, only Nippon Budokan 5DAYS. This work is on the second day. First of all, let’s imagine the position of the show from that schedule. 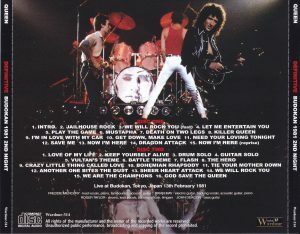 There are two kinds of recordings of this day, one traditionally famous for titles such as “NEED YOU LOVING ROCK” and “BATTLE THEME”. The other is a recording that was excavated later and is known for our “PLAY FLASH GAME (Uxbridge 139)”. “KING OF THE IMPOSSIBLE” is based on the highest master of traditional recording, while complementing the missing part with “PLAY FLASH GAME”. 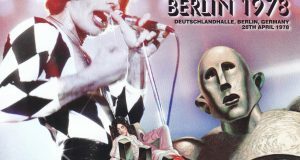 It is a live album that recorded the full show seamlessly for the first time in history. Moreover, it was not just a combination of 2 recordings. Even with the main traditional recording, the quality is different, using the master / quality version which was newly discovered about seven years ago. It was longer than the previous generation group, and the sound covering the full story was also overwhelming. On top of that, it also complements drum solos and timpanie solos of “Keep Yourself Alive” that were missing in tape changes etc. It was a full live album that dislikes many of the existing departures in terms of both quality and recording time. Of course, it alone is “the top of the Budokan 2nd day”, but “KING OF THE IMPOSSIBLE” was “1981 · Japanese best masterpiece” that transcended it. That factor is the key shop. Actually, in this year’s visit to Japan, there was a preview of the movie “FLASH GORDON” before the live, but Freddie was absent because of poor physical condition. Because of that, on the first day I was somewhat suppressing how to sing. However, whether it was relieved after having survived the first day safely, or from a sense of security that a two-day holiday comes in, on the second day it will let me listen to the greatest flying. Vocalization to control high frequencies is affordable, plenty of glossy singing voice. 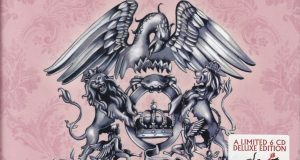 “We Will Rock You” feeling momentum in the utterance itself, “Let Me Entertain You” which is excellent in crispness, “Killer Queen” in which ad lib is cool until just too much, anyway dynamic “Get Down, Make Love” etc. You can taste Freddie’s singing voice that shines by shooting any song. Although this strong favorance was felt even on the third day of the holidays, after a while it got tired or not (although it is not bad) it gradually lacks the precision. In addition to wonderful sound & complete recording, even the live itself is brilliant. That is why it was called “the best masterpiece”. I wrote it for a long time, but this is all the story of “KING OF THE IMPOSSIBLE”. This work is a wonder board that such a masterpiece has been further upgraded. Of course, we do not make soundless pressure professionally. Although it was originally a wonderful sound, this work further examines each range. Somewhat unevenly balanced in the middle range, unraveling the balance, organizing the sound of each instrument. As a result, the musical instrument sound which was somewhat unnatural restores the original sparkle, and the fine outline is brilliant. 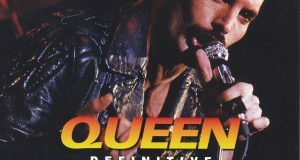 By getting a stereoscopic feeling to feel between the members, I realized the sound that Freddie’s best vocals passed through quite well. The wonderful thing of the best masterpiece show drawn with that sound. I avoid avoiding repeating masterpieces, but this show is not the only one. This tour was not only “THE GAME” but also “FLASH GORDON” promotion, but on this day I can listen to Long Medley with “Vultan’s Theme (it is a song used in Baltan’s flight scene in the movie)” . This song is an extremely rare song only recorded in Japan in 1981, especially on this day it is world premiere. Even more unusual is a mistake. Medley is followed by “Battle Theme” → “Flash” → “The Hero”, but here Brian played “Battle Theme” endlessly, Freddie does not enter and it gets confused . Also, although it is slightly different from mistake, “Save Me” is like an accident. 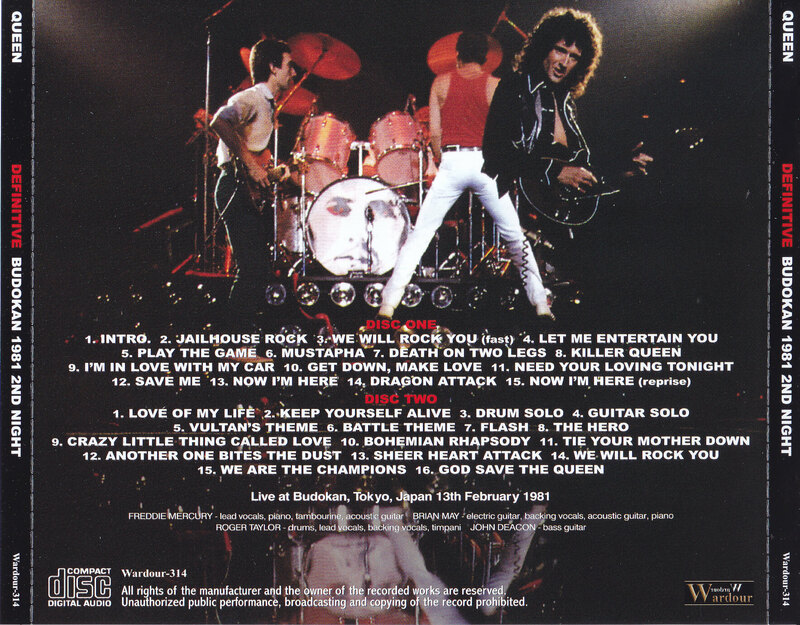 Before starting the song, Freddie will go to the spectators who do not quietly say “Shut up!”. The audience is also laughing and it is a peaceful mood, but somehow, there are American group collectors who are drunk and fussy on the scene. However, this American people are rear seats, the middle of the fans are enthusiastic. I do not know who told you to say to Freddie’s brawl because it is a joke, but I can listen to a funny scene with a superb superb sound. Anyway, it has a superb superb sound, a seamless complete recording, and a great show. Such a masterpiece album is one that revived with quality to update its peak. Absolute board that you can experience how great QUEEN at the heyday is at the scene of Japan. Please, please enjoy it with permanent preservation press 2CD.